Every June 1st, Mexico celebrates Navy Day, also know as Día de la Marina. While recognized throughout the country in honor of sailors who have lost their lives, Navy Day is especially celebrated in port cities and towns such as Cabo San Lucas, La Paz, Loreto, Veracruz, Puerto Vallarta, Mazatlán and the Southern Baja California peninsula. Expect to see an impressive show of Navy vessels, helicopters, parades, carnival rides, fishing competitions, and of course, the much-anticipated fireworks show! 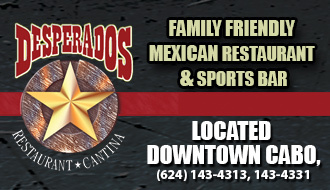 Cabo Wabo Cantina presents Comedy Nights featuring George Lopez, Cedric the Entertainer, and D.L. Hughley! Join Cabo Wabo Friday June 1 or Saturday June 2, from 8pm-10:30pm and experience fun and laughs from three of the worlds most talented comedy performers. 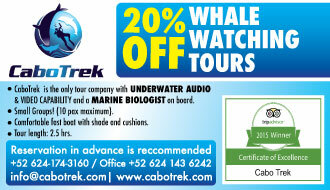 Tickets are on sale at the Cabo Wabo store in downtown Cabo. 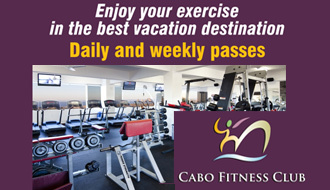 For more information email webmaster@cabowabocantina.com. 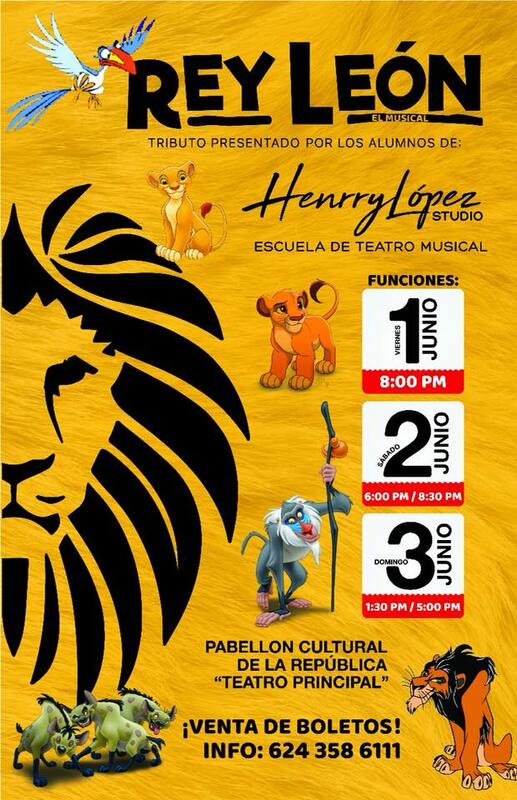 Enjoy the magic of the Lion King (El Rey León) as performed by the students of Henry López Studio. This event is fun for the whole family with extravagant costumes and lively music. There are five show times to choose from, Friday, June 1 at 8:00pm, Saturday, June 2 at 6:00pm or 8:30pm or Sunday June 3 at 1:30pm or 5:00pm, all at the Cultural Pavilion in Cabo. General seating is $200 pesos. Tickets can be purchased at Circulo Infantil Gloriela or Henry López Studio. 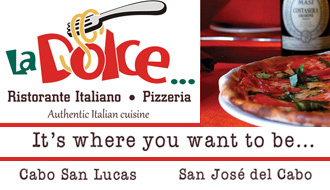 For more information call (624) 108-3308. Party the day away at OMNIA Los Cabos Day Club with DJ sets by musical artists Le Crooked and DJ Politik. During the week, OMNIA is the perfect destination for an upscale, relaxed getaway, but on weekend the venue becomes a high-energy, DJ-centric affair featuring some of the world’s most in-demand turntable artists. This month Las Vegas DJ Le Crooked will be in town spinning Saturday, June 9 starting at 11am followed by Los Angeles native DJ Politik on Saturday, June 30 at 11am. 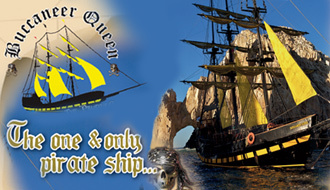 For tickets and information visit www.ticketmaster.com.mx or omniaclubs.com/los-cabos. The Los Cabos Open of Surf returns to Zippers at Costa Azul beach on Monday June 11 through Sunday June 17. The Los Cabos Open of Surf is the premiere professional surfing event in Mexico, bringing you the best in lifestyle, surfing, music and entertainment. The competition is a WSL Women’s QS6000, as well as a WSL Men’s and Women’s Pro Junior Event with some of the world’s best surfers in each category. Grab your beach chairs and umbrellas and come spend the day with us watching spectacular surfing with your toes in the sand. Food and drinks will be available for purchase provided by El Merkado, as well as surf merchandise and more! Parking is located at Costa Azul bridge. 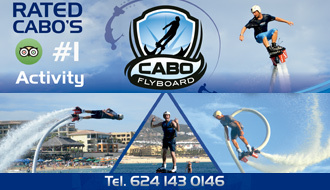 For more information please visit www.loscabosopenofsurf.com. Destino Los Cabos is a proud sponsor for the Los Cabos Open of Surf! Experience this 2-part presentation of dance and theater at the Cabo San Lucas Cultural Pavilion on Tuesday, June 12, from 6pm-9:30pm. Euridice Dance Center presents: Pasión: Danza + Teatro, benefiting Red Autismo A.C. The first show begins at 6pm with a special presentation featuring children with autism. The second show starts at 8pm. Tickets can be purchased at Euridice Dance Center on Adolfo López Mateos street in Cabo San Lucas or Tienda 17 on Boulevard Centenario in San Jose del Cabo. Visit www.facebook.com/redautismo for more information. Get your tickets now for the Official Los Cabos Open of Surf Music Event featuring Latin Grammy award winning band: Los Amigos Invisibles! The event will be held on Friday, June 15 at 8pm at the Koral Center and El Merkado. Los Amigos Invisibles (Spanish for “The Invisible Friends”) are a Venezuelan band that play a blend of disco, acid jazz and funk mixed with Latin rhythms. Tickets can be purchased at the Koral Concierge office or at koralconcierge.ecwid.com. For more information contact info@koralconcierge.com or call (624) 104-0127. Father’s Day (Día del Padre) in Mexico is always celebrated on the third Sunday of June. Not only do we honor great dads on this day, but also grandfathers, uncles, big brothers, and other important male figures too. In Los Cabos, expect to see Father’s Day dinner and drink specials at many resorts, restaurants and bars throughout town. The 10th Annual Fiesta de La Musica (Los Cabos Music Festival) returns to Los Cabos this summer. The festival will be held on Saturday, June 23, 2018 in the Historic Center of San José del Cabo from 6:00pm until 2:00am. The festival will welcome more than 100 musical groups from different genres including electronic, rock, pop, Latin rhythms and much more. Launched in France in 1982, the Music Festival has become a global event held in more than 120 countries and 450 cities that attracts millions of participants across the globe. For the 10th anniversary, the Festival is expecting more than 25,000 attendees. Be part of the most important musical event in Baja California Sur! For more information please visit www.fiestadelamusicaloscabos.net. Don’t miss the 22nd Annual Stars & Stripes Fishing and Golf Tournament from Thursday June 28 to Sunday July 1. This tournament was originally created to honor the Big Brothers Big Sisters of Orange County, but now has expanded to include seven children’s charities based in Southern California and Mexico. Their website explains, “This world-class charity fundraiser, held yearly in Cabo San Lucas, Mexico, combines spectacular deep-sea fishing and golfing on Mexico’s finest courses with beautiful accommodations and top-notch musical entertainment. The hugely popular event has raised and donated more than $26 million to worthy youth charities over the course of its 21-year history. More than just a fundraiser, Stars & Stripes creates lasting memories for the organizations it assists, as well as those participating in the event each year.” The festivities kick off on Wednesday, June 27th, with an exclusive VIP concert by Don Felder, formerly of the Eagles at 6:00p.m. For more information and schedule of events, please visit www.starsandstripestournament.com.